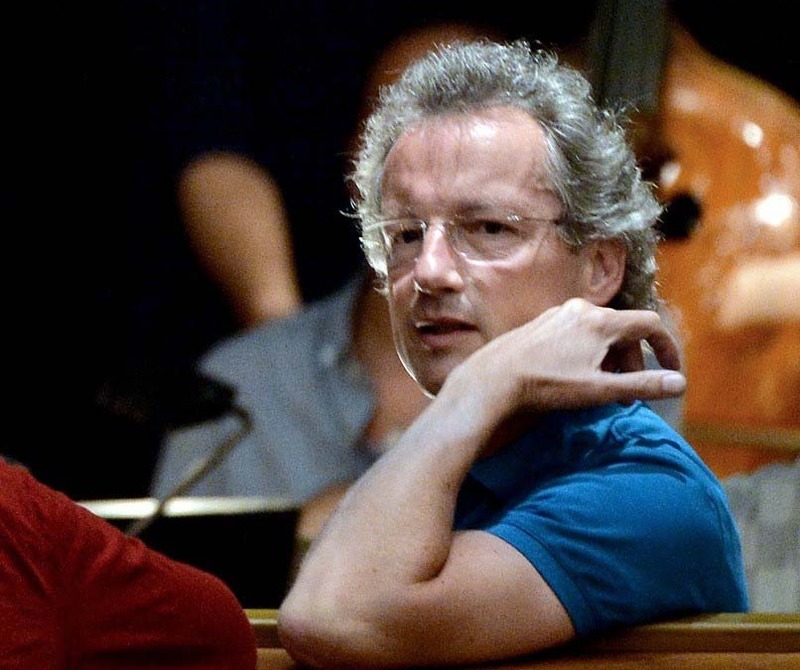 CLEVELAND – The Cleveland Orchestra announced today the extension of Franz Welser-Möst’s contract as Music Director to 2022. With this extension, Mr. Welser-Möst’s tenure will reach at least 20 years, extending four years beyond the Orchestra’s Centennial Season in 2017-18. The announcement was made this morning to the Orchestra’s musicians and staff by the President of the Board of Trustees, Dennis W. LaBarre, and Executive Director, Gary Hanson. With his extended commitment through the 2021-22 season, Franz Welser-Möst will become the second longest tenured Music Director of The Cleveland Orchestra. Mr. Welser-Möst was named the seventh Music Director of The Cleveland Orchestra on June 7, 1999, and began his tenure in September 2002. In May 2003, his initial five-year contract was extended to 2012. In 2008, a six-year extension was announced to 2018. Concurrently with his Cleveland appointment, Franz Welser-Möst has also served as General Music Director of the Zurich Opera up to 2010, and in the same role at the Vienna State Opera from 2010 to 2014. He is a regular guest conductor of the Vienna Philharmonic at home and on far-reaching international tours, as well as for opera productions at the Salzburg Festival. The 2014-15 season marks Franz Welser-Möst’s thirteenth year as Music Director of The Cleveland Orchestra, with the future of this acclaimed partnership now extending into the next decade. He holds the Kelvin Smith Family Music Director Endowed Chair. Since becoming Music Director in 2002, Franz Welser-Möst has expanded the Orchestra’s repertoire and its horizons, while honing its strengths and building upon its unrivalled abilities. His leadership has developed new programs for its hometown in Northeast Ohio, as well as for enthusiastic fans and discerning connoisseurs around the world. Under Mr. Welser-Möst’s direction, The Cleveland Orchestra is hailed for its continuing artistic excellence, is broadening and enhancing its community programming at home in Northeast Ohio, is presented in a series of ongoing residencies in the United States and Europe, and has re-established itself as an important operatic ensemble. With a commitment to music education and the Northeast Ohio community, Franz Welser-Möst has taken The Cleveland Orchestra back into public schools with performances in collaboration with the Cleveland Metropolitan School District. He has championed new programs, such as a community-focused Make Music! initiative and a series of “At Home” neighborhood residencies designed to bring the Orchestra and citizens together in new ways. Under Mr. Welser-Möst’s leadership, The Cleveland Orchestra has established a recurring biennial residency in Vienna at the famed Musikverein concert hall and appears regularly at Switzerland’s Lucerne Festival. Together, they have also appeared in residence at Suntory Hall in Tokyo, Japan, and at the Salzburg Festival, where a 2008 residency included five sold-out performances of a staged production of Dvořák’s opera Rusalka. In the United States, an annual multi-week Cleveland Orchestra residency in Florida was inaugurated in 2007 and an ongoing relationship with New York’s Lincoln Center Festival began in 2011. In all, Mr. Welser-Möst has led the Orchestra on fourteen international concert tours as Music Director, including their most recent 2014 European Tour, September 7-22. In his first twelve years as Music Director, Franz Welser-Möst has led an annual series of opera presentations — including fully-staged, semi-staged, and concert performances — exploring and redefining theatrical approaches to opera within an orchestra’s season. Highlights include the three Mozart-Da Ponte operas (2009-11), Richard Strauss’s Salome at home in Severance Hall and at New York’s Carnegie Hall in 2012, and an innovative production of Janáček’s The Cunning Little Vixen this past spring. A presentation of Richard Strauss’s Daphne follows during the current season, in May 2015. As of the start of this season, The Cleveland Orchestra has performed fourteen world and fifteen United States premieres under Franz Welser-Möst’s direction. In partnership with the Lucerne Festival, he and the Orchestra have premiered works by Harrison Birtwistle, Chen Yi, Hanspeter Kyburz, George Benjamin, Toshio Hosokawa, and Matthias Pintscher. In addition, the Daniel R. Lewis Young Composer Fellow program has brought new voices to the repertoire, including Pintscher, Marc-André Dalbavie, Susan Botti, Julian Anderson, Johannes Maria Staud, Jörg Widmann, Sean Shepherd, and Ryan Wigglesworth. Franz Welser-Möst’s recordings with The Cleveland Orchestra include DVD recordings of live performances of five of Bruckner’s symphonies, a recording of Beethoven’s Ninth Symphony, and an all-Wagner album. Currently he is in the midst of a new project recording major works by Brahms. As a guest conductor, Mr. Welser-Möst enjoys a close and productive relationship with the Vienna Philharmonic. Recent performances with the Philharmonic include a critically-acclaimed production of Strauss’s Der Rosenkavalier at the 2014 Salzburg Festival as well as appearances at New York’s Carnegie Hall, at the Lucerne Festival, and in concert at La Scala Milan. During the 2014-15 season, he returns to the Philharmonic for a tour of Scandinavia, and will also lead them in a new opera production at Salzburg in 2015. He led the Philharmonic’s celebrated annual New Year’s Day concert in 2011 and 2013, viewed by tens of millions as telecast in seventy countries worldwide. From 2010 to 2014, Franz Welser-Möst served as general music director of the Vienna State Opera. His partnership with the company included an acclaimed new production of Wagner’s Ring cycle with stage director Sven-Eric Bechtolf, and critically-praised new productions of Hindemith’s Cardillac, Janáček’s Katya Kabanova and From the House of the Dead, Puccini’s The Girl of the Golden West, and Verdi’s Don Carlo, as well as performances of a wide range of other operas, particularly of works by Wagner and Richard Strauss, including Tristan and Isolde and Parsifal, and Der Rosenkavalier and Ariadne auf Naxos. Prior to his years with the Vienna State Opera, Mr. Welser-Möst led the Zurich Opera across a decade-long tenure, conducting more than forty new productions. DVD releases on the EMI label have included Mr. Welser-Möst leading Zurich Opera productions of The Marriage of Figaro, Così fan tutte, Don Giovanni, Der Rosenkavalier, Fierrabras, and Peter Grimes. For his talents and dedication, Mr. Welser-Möst has received honors that include the Vienna Philharmonic’s “Ring of Honor” for his longstanding personal and artistic relationship with the ensemble, as well as recognition from the Western Law Center for Disability Rights, honorary membership in the Vienna Singverein, appointment as an Academician of the European Academy of Yuste, a Gold Medal from the Upper Austrian government for his work as a cultural ambassador, a Decoration of Honor from the Republic of Austria for his artistic achievements, and the Kilenyi Medal from the Bruckner Society of America. He is the co-author of Cadences: Observations and Conversations, published in a German edition in 2007. As it approaches the Centennial of its founding in 2018, The Cleveland Orchestra is undergoing a new transformation and renaissance. Universally-acknowledged among the best ensembles on the planet, its musicians, staff, board of directors, volunteers, and hometown are working together on a set of enhanced goals for the 21st century — to develop the youngest audience of any orchestra, to renew its focus on fully serving the communities where it performs through engagement and education, to continue its legendary command of musical excellence, and to move forward into the Orchestra’s next century with a strong commitment to adventuresome programming and new music. Under the leadership of Franz Welser-Möst, now in his thirteenth season as the ensemble’s music director, The Cleveland Orchestra is acknowledged among the world’s handful of best orchestras. Its performances of standard repertoire and new works are unrivalled at home in Ohio, in residencies around the globe, on tour across North America and Europe, and through recordings, telecasts, and radio and internet broadcasts. Its longstanding championship of new composers and commissioning of new works helps audiences understand music as a living language that grows and evolves with each new generation. Recent performances with Baroque specialists, recording projects with internationally-renowned soloists, fruitful re-examinations and juxtapositions of the standard repertoire, and acclaimed collaborations in 20th- and 21st- century masterworks together enable The Cleveland Orchestra to give musical performances second to none in the world. Programs for students and community engagement activities have long been part of the Orchestra’s commitment to serving Cleveland and surrounding communities, and have more recently been extended to its touring and residencies. All are designed to connect people to music in the concert hall, in classrooms, and in everyday lives. Recent seasons have seen the launch of a unique “At Home” neighborhood residency program, designed to bring the Orchestra and citizens together in new ways. Additionally, a new Make Music! initiative is taking shape, championed by Franz Welser-Möst in advocacy for the benefits of direct participation in making music for people of all ages. Standing on the shoulders of ninety years of presenting quality music education programs, the Orchestra made national and international headlines through the creation of its Center for Future Audiences in 2010. Established with a significant endowment gift from the Maltz Family Foundation, the Center is designed to provide ongoing funding for the Orchestra’s continuing work to develop interest in classical music among young people. The flagship “Under 18s Free” program has seen unparalleled success in increasing attendance and interest, and was recently extended to the Orchestra’s concerts in Miami. Student attendance has doubled at the Orchestra’s concerts in Northeast Ohio through a series of discount offerings and memberships, and across all Center-funded programs over 100,000 tickets for young people have been issued in the past three seasons. The Cleveland Orchestra was among the first American orchestras heard on a regular series of radio broadcasts, and its Severance Hall home was one of the first concert halls in the world built with recording and broadcasting capabilities. Today, Cleveland Orchestra concerts are presented in a variety of formats for a variety of audiences — including a popular Fridays@7 series (mixing onstage symphonic works with post-concert world music performances), film scores performed live by the Orchestra, collaborations with pop and jazz singers, ballet and opera presentations, and standard repertoire juxtaposed in meaningful contexts with new and older works. Franz Welser-Möst’s creative vision has given the Orchestra an unequaled opportunity to explore music as a universal language of communication and understanding. The Cleveland Orchestra was founded in 1918 by a group of local citizens intent on creating an ensemble worthy of joining America’s ranks of major symphony orchestras. Over the ensuing decades, the Orchestra quickly grew from a fine regional organization to one of the most admired symphony orchestras in the world. Seven music directors have guided and shaped the ensemble’s growth and sound: Nikolai Sokoloff, 1918-33; Artur Rodzinski, 1933-43; Erich Leinsdorf, 1943-46; George Szell, 1946-70; Lorin Maazel, 1972-82; Christoph von Dohnányi, 1984-2002; and Franz Welser-Möst, since 2002. The opening in 1931 of Severance Hall as the Orchestra’s permanent home, with later acoustic refinements and remodeling of the hall under Szell’s guidance, brought a special pride to the ensemble and its hometown, as well as providing an enviable and intimate acoustic environment in which to develop and refine the Orchestra’s artistry. Touring performances throughout the United States and, beginning in 1957, to Europe and across the globe have confirmed Cleveland’s place among the world’s top orchestras. Year-round performances became a reality in 1968 with the opening of Blossom Music Center, one of the most beautiful and acoustically admired outdoor concert facilities in the United States. Today, concert performances, community presentations, touring residencies, broadcasts, and recordings provide access to the Orchestra’s acclaimed artistry to an enthusiastic, generous, and broad constituency around the world.